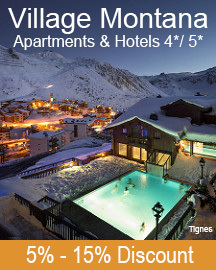 The Home Club is in the heart of Lavachet close to the shops, bars and restaurants that this area of Tignes has to offer. 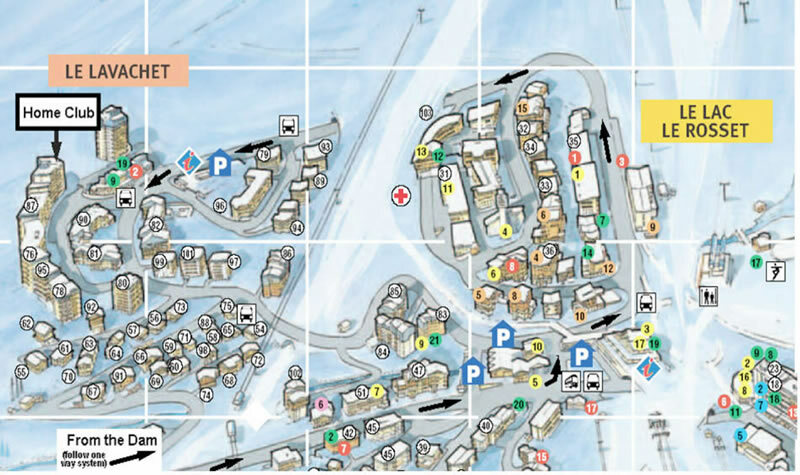 You are just 100 metres from the "Quick Access track" onto the piste, and you can ski back to the apartment building at the end of the day. The local free shuttle bus stop is 100 metres away, allowing easy access to the rest of resort if you don’t fancy the stroll after a days skiing. 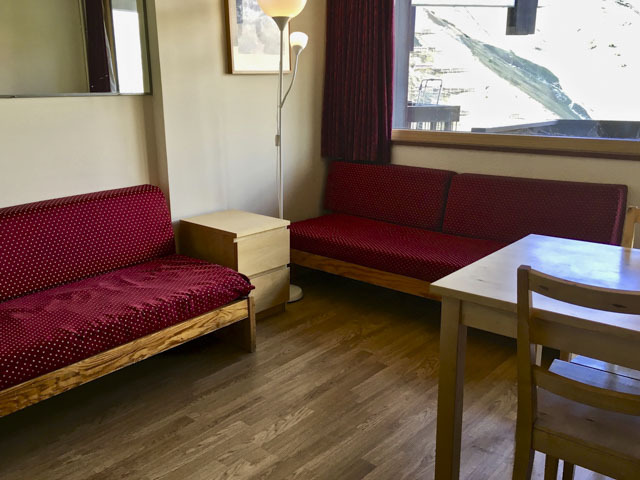 Apartment 178 is on the second floor and has lovely views down the valley towards the Lac de Chevril, so you can enjoy some lovely sunsets! 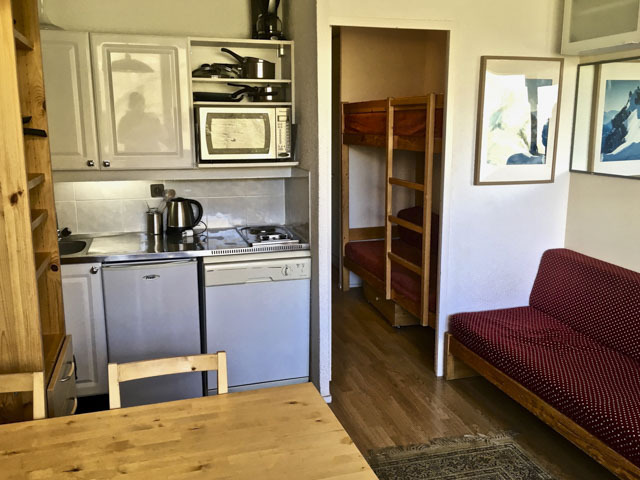 It is set up for 4 people, two people in the corridor bunk beds and two people in the living room. 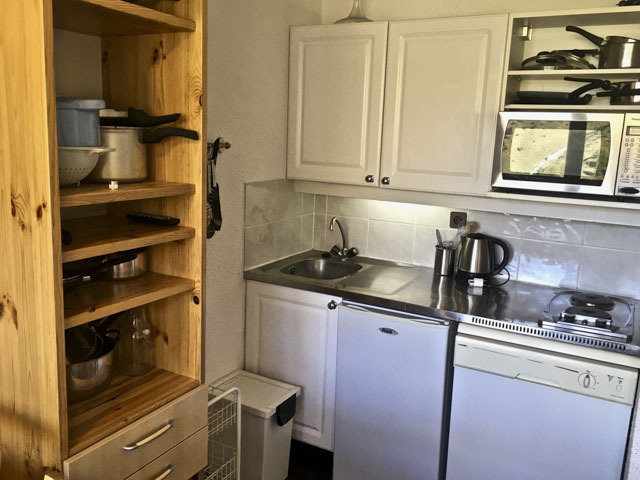 There is a bathroom with a separate WC off to the right in the corridor, then you follow the corridor through to the living area where there is a kitchenette and dining area. 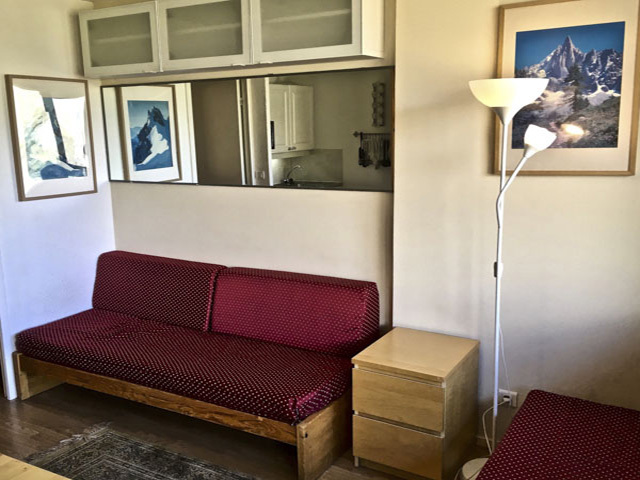 As mentioned above, there is a bunk bed for two people and the living area has two separate single sofa beds. 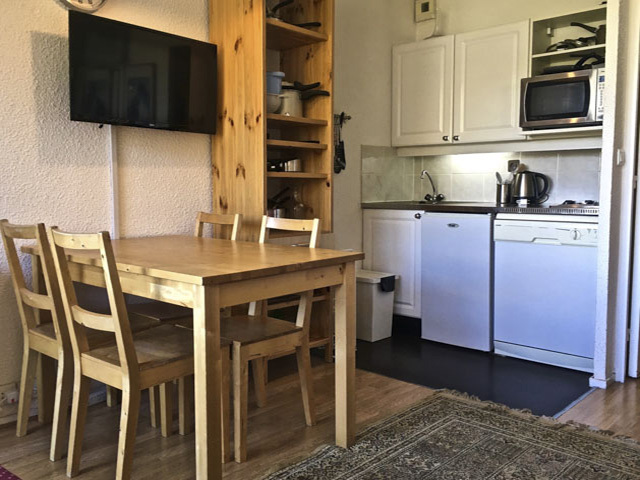 The kitchen has everything you’ll need for your stay, including a dishwasher, microwave combo oven, and plenty of crockery, utensils and cookware. 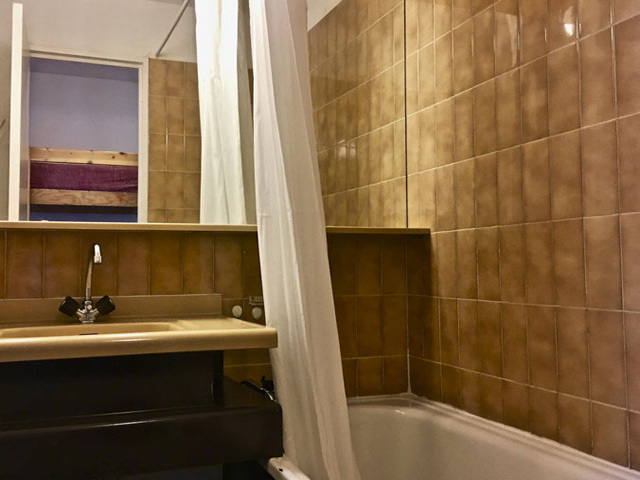 The bathroom has a full size bath with shower head attachment and washbasin. The WC is separate. 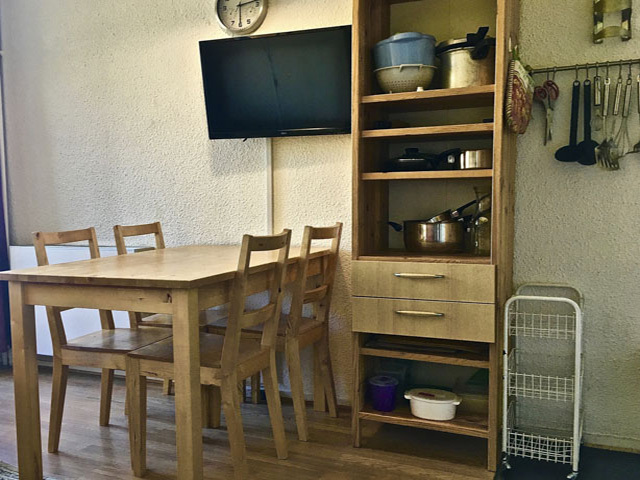 This apartment comes with wifi and there is a large flat screen TV. There is also a ski locker located in the entrance way of the building. Bed linen is included with this apartment, and towels are available to hire in resort for 5€ each.